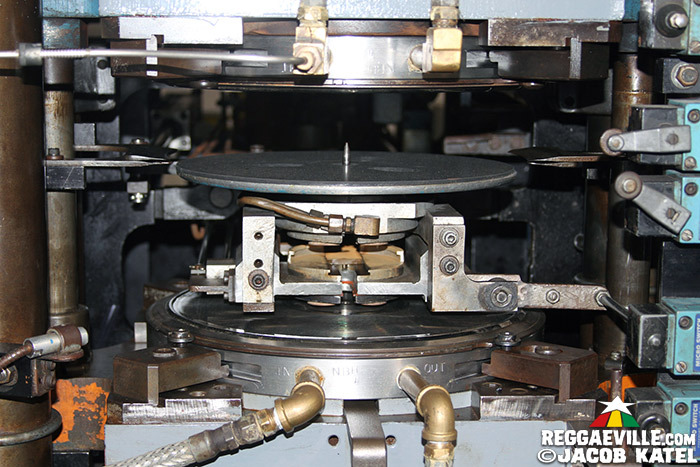 Sunpress Vinyl is America's newest record pressing plant, but its soul, machinery, and engineer Headley "Studdart" Haslam are all deeply rooted in the mighty history of reggae music. 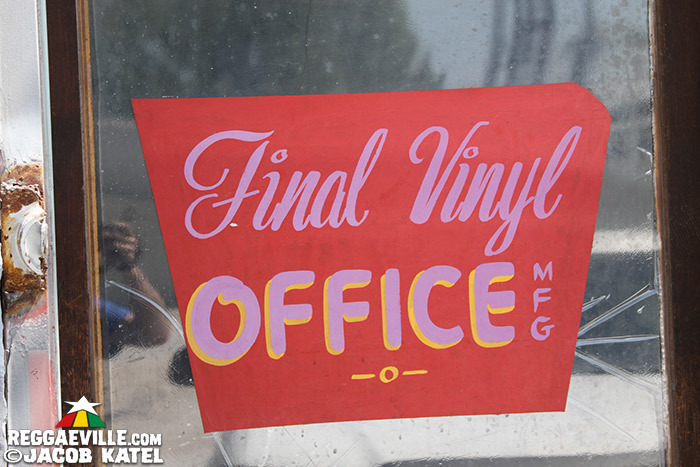 Located on a dusty road in Opa-locka, Florida, the former home of the Final Vinyl factory was founded by Joe Gibbs, bought by Sir Coxsone Dodd, and cranked out millions of classic hits before going out of business in the early 2000's. Music whiz Dan Yashiv has re-opened the joint. 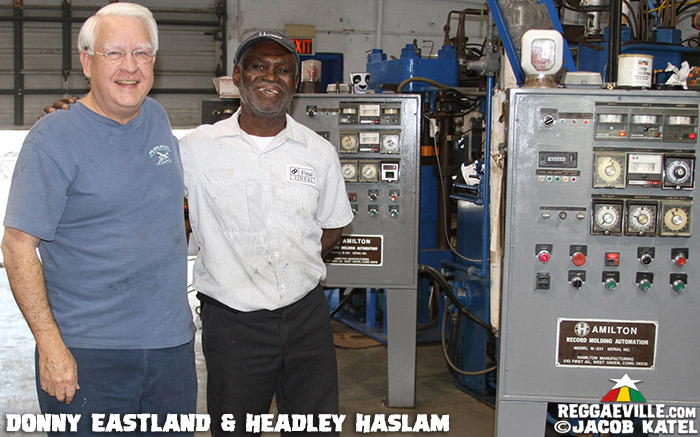 Donny Eastland, who installed the first machines in the facility in 1978 is back in Miami to make sure they’re still firing on all cylinders, as well as replacing parts, re-wiring everything, and installing new machines as needed. And now Headley Haslam, who worked with both Gibbs and Mr. Dodd pressing the original works of Lee "Scratch" Perry, and Toots and The Maytals, is back at the helm as the factory’s “cutting engineer.” Haslam got his start in Kingston selling records to Bob Marley at his first Orange Street shop, and he will be leading the charge for pressing all of Tuff Gong International's new vinyl. Here's what Haslam had to say about Inner Circle, 2 Live Crew, King Sporty, and making records. I started out working with Ian and Roger Lewis from Inner Circle, and their father who had a taxi company on the University of West Indies campus that would take home nursing students and university workers. Inner Circle started out on the campus playing steel pan for the nursing school graduations. Their father saw them interested in music and he went and got them instruments. Once they started I used to go around the country with them in Jamaica to set up their equipment, do the stage, and make a soundcheck, and that's how I really get involved. 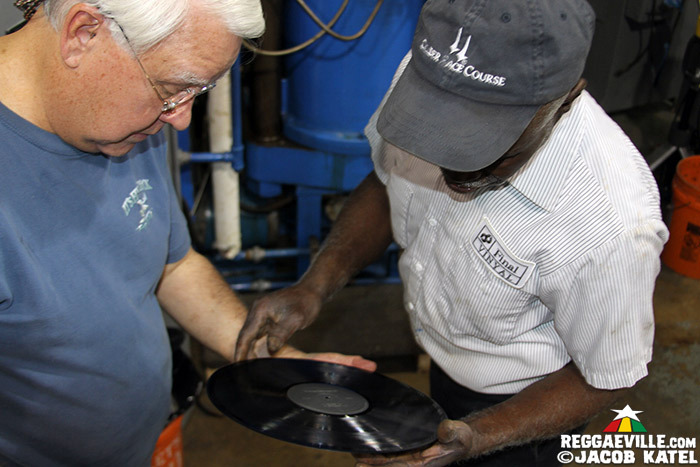 After Jacob Miller died, Inner Circle moved to Miami and started their own record pressing plant. So I came to Miami to work, but first I went to France. At the time I used to know this group named Culture and this lady used to have a record shop and get artists to go on tours. I asked if she would let me go on the tour and she got me a visa and I went to France with Culture. After that I came to Miami and stayed with Inner Circle and that's where I learned everything. A guy named John was the one who taught me how to operate the machines. Inner Circle records like Tenement Yard, I am the one who pressed them. It used to be me and Tye Hutchinson. He was there as a manager. I pressed thousands upon thousands of records. Lots of records. We used to also do custom pressings for outside customers like this guy Lordy Pioneer out of Canada. How did you start working for Joe Gibbs? Joe Gibbs started his own pressing plant in Miami and kept sending the guy who worked for him send him up to Canada. He needed help so I went part-time to work for him there and pressed all those Dennis Brown records he had. What other jobs have you had in music? I used to work with a record company in Jamaica called Talent Corporation with Tommy Cowan. After that I went to Total Sound with Neville Lee, that's Byron Lee's brother, and their name changed to Sonic Sound. I used to sell records there. I also used to sell records for the artists on the street....take their records around to the major shops, build it, deliver, collect the money, and bring it back to the artist. How did you start working for Clement Dodd? After Joe Gibbs went out of business, I pressed records for Sherman Nealy. I was pressing Debbie Deb's Lookout Weekend. After Sherman Nealey there was Merriweather and Suntown Records. I pressed all of those records and the company went out of business and Mr. Dodd got the company. That's when I started with Mr. Dodd, pressing King Sporty records. All his Konduko Records. King Sporty and Mr. Dodd knew each other from a long way back. I pressed the Bunny Wailer records, too. I think he had a place down on Miami Beach somewhere over there. How did you get involved with 2 Live Crew? This guy Glenn used to work with Joe Gibbs and opened a pressing plant near NW 7th Ave. I used to do some work for him too, and that's how I got started with Luke Records pressing all those 2 Live Crew albums and singles. It was me who got Luke to work with us. He was working with some Spanish guy around the corner and I said, "Come here we can press them faster. That guy has only one machine." The company got so big he had this place on NE 2nd Ave, huge distributing company. All through the music business they call me Studdart. If anything break, I put it back together. Can you talk some about low end frequencies on vinyl? The bass is like, it have the feel and the beat, the beat, the beat. It's amazing, man, especially the string bass. It's amazing. The bass and the guitar, checka checka check. What is special about SunPress Vinyl? They are good. They come to stay. They have their act together and are putting things together. This guy knows what he's doing. He is trying to make the record business more professional, getting the music and professional part more established. SunPress is working with TuffGong. When do we start getting the new Tuff Gong records? Yes. We’re doing Tuff Gong music. All of Tuff Gong music. I know Tuff Gong from back home. I know Bob Marley when he just started out in the first shop on Orange Street in Kingston. I used to go to him shop and sell him records. I used to go to his store and buy records from him and sell records to him. Bob Marley started long before Inner Circle. At that time it was Coxsone Music. He had his own recording company and studio and most of the local artists like Bob Marley, Ken Boothe, Dennis Brown, Sly and Robbie, and all of those guys I know them. Most of the local artists I know them. Alton Ellis. They love the music. And that's how reggae music started out. Drum and bass, drum and bass, drum and bass. People them love the drum and bass, man. Lee Perry used to have a likkle studio, most of Bob Marley that's where they recorded was at Lee Perry's Studio, a likkle room where it's only one person can actually hold there and when them recording one tape running and them have one take, one cut. You have to put everything on one track. And If you do a mistake you have to start all over. I've been there and I heard a lot. And I been on tours with Inner Circle. And as a matter of fact, when I used to work with Total Sound in Jamaica and Sonic Sound I am the one who used to audition all the music in Jamaica. Furthermore, most of the records that come from over here and they put it out in Jamaica. My boss used to tell me listen to this and tell me if it will sell. I got an ear for that music.